These Maine tours by land and sea are your chance to sit back, relax, and enjoy the sights and sounds of Maine's southern coast. Take some time to learn something new while you're on vacation, 'cause folks, we've got oodles of wonderful Maine tours for you to explore! You can do some Maine sightseeing on board a lobster boat, while riding Atlantic ocean waves on a kayak tour, or enjoying a horse drawn carriage ride down centuries-old New England streets. How about strolling hand-in-hand with your sweetheart on a self-guided walking tour, or relaxing in a comfortable van while learning all about the lighthouses of Maine or the history of your favorite town? 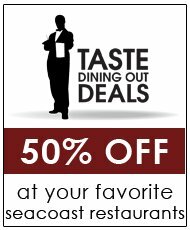 While this page is focused on York and the immediate area, you'll find even more tours -- specific to each town -- on each of our "Day Trips" pages (see navigation bar at left). Offering thirty-seven period room settings and several galleries housed throughout nine historic museum buildings, the Museums of Old York showcases a wealth of early New England art, architecture, and decorative arts. 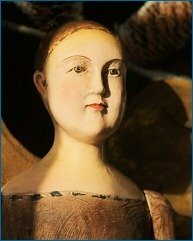 The exhibits focus on the stories of southern Maine's men, women, and children and the world they created and lived in from the earliest settlement in the 1600s to the present day. Living history demonstrations, gallery talks, guided tours, and self-guided walks enhance a visit to Old York. Take your picture in the pillory where criminals were once kept for public humiliation in front of the Old Gaol. Special tours can be arranged where you can meet the jailer's family, the Tavern Keeper, or the School Master. June to mid-October. 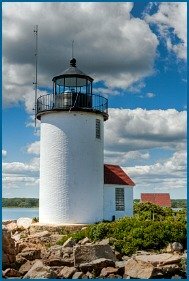 Guided historical Maine tours of York, Kittery Point and Kittery. 1, 2 or 3 hours tours available. May through October. Ghostly Tours is open Monday through Friday from July 1st to Labor Day with one tour a night at 8PM. Starting the 2nd weekend in September, tours are on Saturday evenings only at 7PM through Halloween. 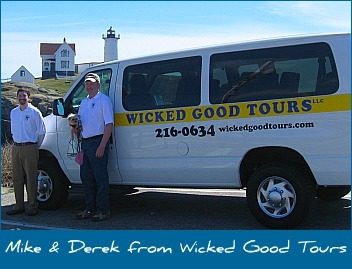 Maine lighthouse tours, with van pickup and drop off in Portsmouth, New Hampshire. Includes stop at Nubble Light in York, Maine (see more about this tour on our Maine Lighthouses page). Coastal road bike tours, mountain bike tours, custom tours, youth camps, corporate outings. Based in York Harbor. Harbor Adventures offers sea kayak and bike adventures along the coast of southern Maine and the seacoast of New Hampshire. We are York’s original sea kayak tour company and are entering our 12th season. We are based out of York Harbor, Maine, but offer departures from various locations from Portsmouth, New Hampshire to Kennebunkport, Maine. Ocean or river kayaking, lobster luncheon tours, full moon paddles, corporate outings, custom tours, fall foliage tours, inn and adventure packages. Try our new kayak surfing lessons or fishing from a kayak! 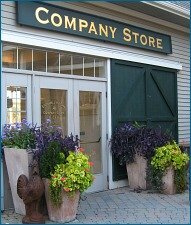 Excursions Coastal Maine Outfitting Co. Recreational half-day tours, multi-day overnight adventures. 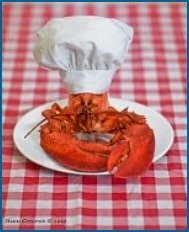 Breakfast cruise, Nubble lighthouse cruise, lobstering trips and cocktail cruises. Departing daily out of Perkins Cove in Ogunquit, Maine. Early May through October.